Finally An All Inclusive Workout Program Specifically Designed To Get You Game Day Ready In Just 28 Days! 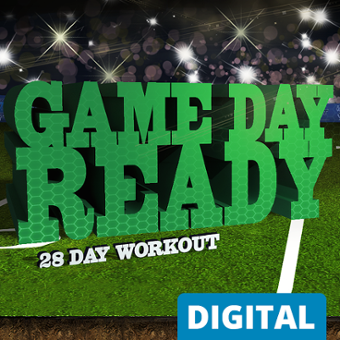 The Game Day Ready Workout Program is Specifically Designed To Unleash The Athlete Inside You And Empower You To Be Faster, Stronger & More Powerful…While Looking more The Part…In Just 4 Short Weeks! Look, Feel and Most Importantly, Move More Athletic Than Ever Before & Watch Your Agility, Strength, Balance & Speed Go Through The Roof With This One Of A Kind Performance Training Program! You will be surprised how easy it is to safely train to be more athletic.